Geekspin wants to gift one of their fans with a brand new Android tablet! 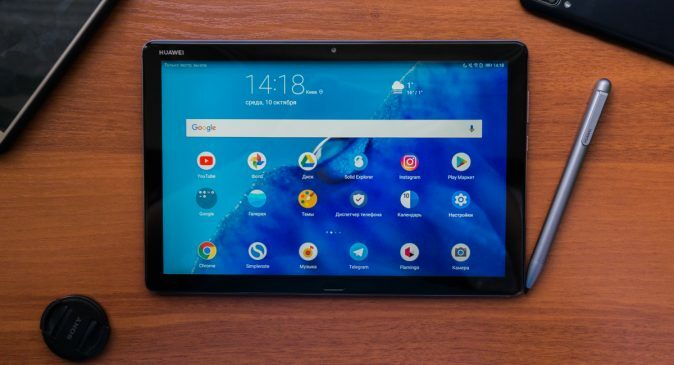 To enter in this Huawei MediaPad M5 Lite Tablet Giveaway grab your free entries by following few simple steps listed down below! Co-engineered with Harman Kardon, the tablet’s quad-speaker system delivers fine-tuned and precisely optimized concert hall audio effects, more bass, and less distortion. The HUAWEI MediaPad M5 lite features a brilliant 10.1-inch 1080P display so you will not miss a thing while watching your favourite movies or playing games. For an even better viewing experience, HUAWEI ClariVu technology further enhances display brightness and clarity. It takes less than 2.9 hours to fully charge the HUAWEI MediaPad M5 lite. With a 7,500 mAh (TYP) battery, the M5 lite fully satisfies your entertainment and gaming needs, and conveniently follows you wherever your day takes you. The specially designed HUAWEI M-Pen lite Stylus (not in box) is an extension of your imagination. Equipped with advanced 2048-layer pressure sensitivity, the HUAWEI M-Pen lite Stylus enables you to naturally jot down notes and write memos with full responsiveness.